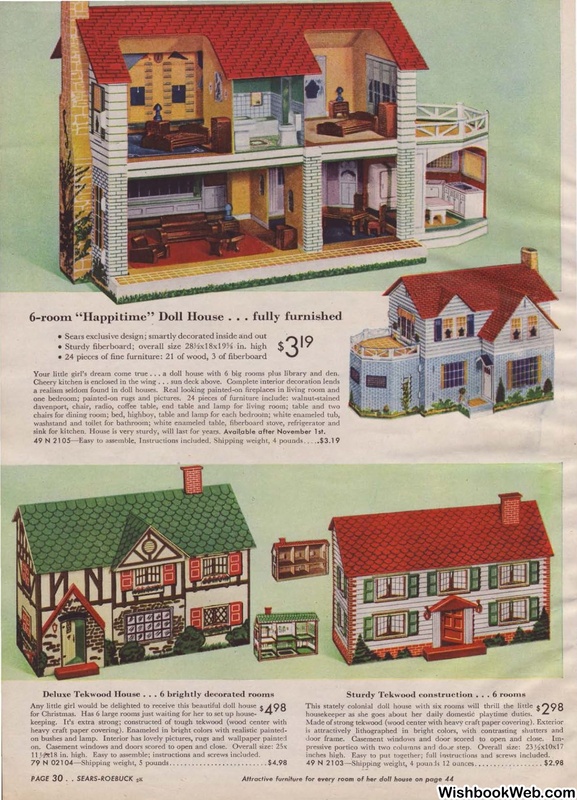 Your li ttle girl's dream come true .. . a doll house with 6 big rooms plus library and den. housekeeper as she goes about her daily domestic playtime duties. 11 )4lt18 in. high. Easy to assemble; instructions and screws included. inches hig-h. .Easy to put together; full instructions and screws included.